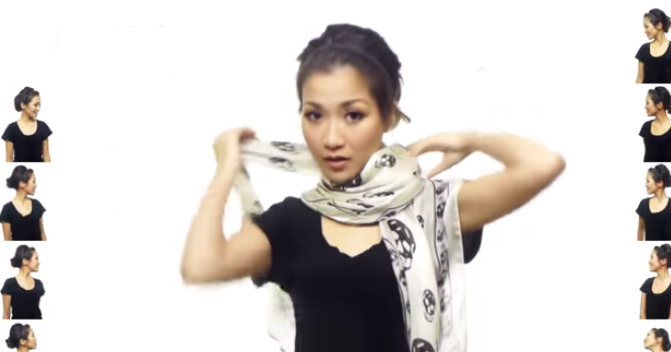 25 Ways to Tie Scarves in under 5 Minutes! – Prairie Gardens Learn these 25 fabulous ways to tie scarves in under 5 minutes in our favorite scarf-tying video. 25 Ways to Tie Scarves in under 5 Minutes! Learn these 25 fabulous ways to tie scarves in under 5 minutes in our favorite scarf-tying video. Getting low on scarves? Visit our boutique! Full of infinties, patterns, solids, knits – you name it, all at guilt-free prices.